New design... 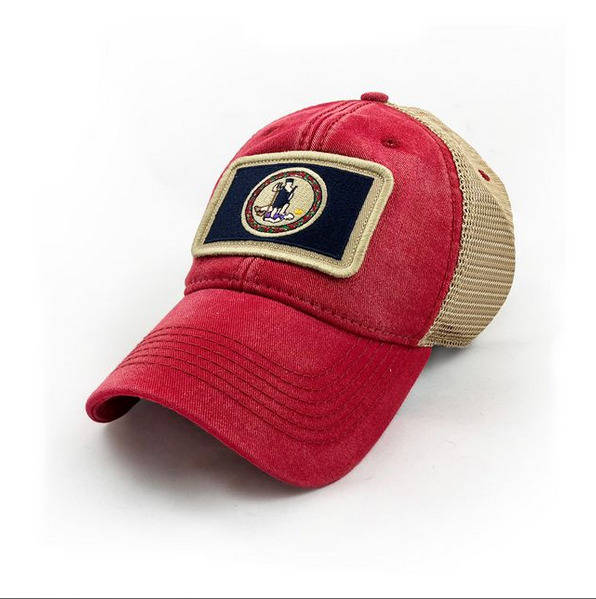 The Great State of Virginia flag cap! Designed by our staff in New Bern, NC. The Virginia Flag Hat has a Salt-Wash™ to create a weathered, heavily sun bleached look. 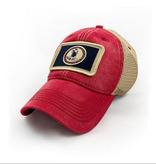 The high thread count embroidered flag patch creates a vintage look. 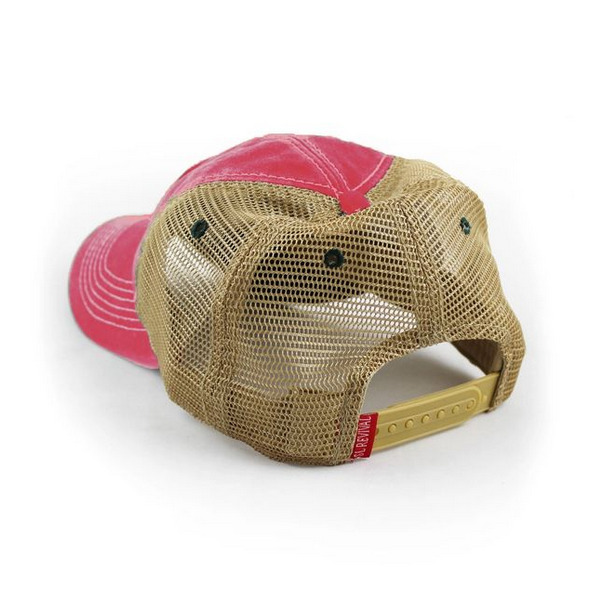 Hat is adjustable with snaps. Mesh is soft and bill has a natural bend. This hat is nautical red and is heavily faded making each hat uniquely different. 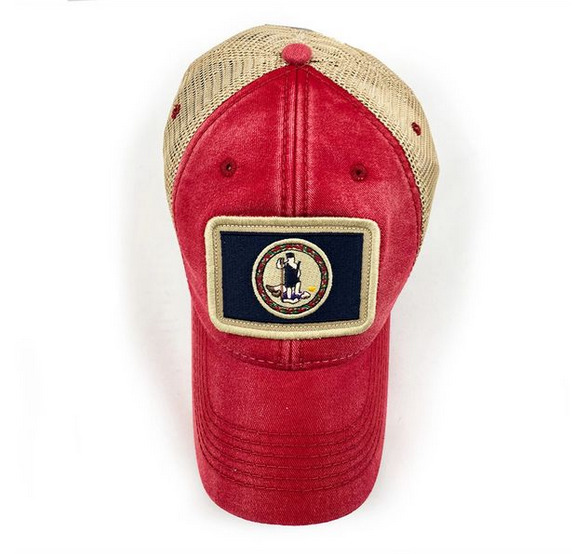 We feel our vintage state flag patch trucker hats are the best. Only at S.L. Revival Co.! Tag us at #revivalhats on social media for a chance to win free goods.